You: You mean the song “Go West”. Us: No. You are thinking of the cover version Pet Shop Boys did back in 1993. We are talking about the band “Go West”. You: I am trying really hard to remember. Us: Have you watched “Pretty Woman”? Us: Do you remember the “opening track”? Us: Can we try jogging up your memory? You: I cannot believe I forgot about them. I love this song and now I am starting to remember some of their other tracks. Wasn’t “Faithful” one of their tracks? Us: Yes. You are forgiven for your awful memory. We don’t blame you – just the mainstream media. With a musical style that blends rock, conventional pop, synth pop, and blue-eyed soul, Go West has been responsible for hits such as “We Close Our Eyes”, “Call Me”, “Faithful”, “King Of Wishful Thinking” and “One Way Street” (from the original motion picture soundtrack of “Rocky Part 4”). The average music listener thinks the Go West story ended back in 1993 – which is only partially true. Band members Peter Cox and Richard Drummie parted ways at the zenith of their career since Peter Cox wanted to relocate to the US in pursuit of a solo career. Unfortunately, his solo endeavor did not mirror the monumental success that he had achieved with Go West. Richard Drummie diverted his efforts towards a more “behind the scenes” role in the music industry by indulging his exemplary songwriting talent. After a hiatus of almost fifteen years, Peter Cox and Richard Drummie reconvened to write another chapter to the “Go West” story. Their 2008 album “futurenow” saw them taking on the music production reigns. They had officially retired the synths that dominated the overall sound of their earlier records. “futurenow” saw them gravitating to a more guitar-based sound. The album met with mixed reviews and its critics relentlessly questioned the band’s decision to be the producers of their own album as opposed to handing over the responsibility to a production veteran. Some of the more noteworthy highlights of this effort include “Let Love Come” and “Stars Don’t Shine”. In fact, “Let Love Come” fits perfectly well alongside the band’s signature hits such as “We close our eyes” and “King Of Wishful Thinking”. Yet, for some reason, the mainstream media overlooked this reunion that many were secretly waiting for. The tour for the album took Go West all over the UK and also to Australia (those of us in the US and can only wait and hope for the best!). This year, as the band hits its 25th anniversary, they have decided to go one step beyond the standard “tour” approach. Instead of giving fans just one evening (or maybe even a few) of exhilaration, the duo has decided to stretch the excitement over an entire year by releasing three EPs over the course of 2010. This series is being referred to collectively as “3D” and it features the band’s first new single “Skin Deep”. The first of three EPs can be ordered HERE. The band is also on an extensive tour of the UK. The concert dates can be viewed HERE. Every now and then, we come across an incredibly talented and gifted band that we may have forgotten but whose songs hold a special place in our hearts. Go West definitely ranks at the top of this list of bands. They were not your “run of the mill” duo. They were the definitive pop duo and the ideal marriage of musical talents. Peter Cox’s emotional vocals breathed vitality into the songs written by Richard Drummie. Furthermore, with this duo, there was never a debate as to who was the more talented one since Go West was the epitome of a musical democracy. In case you did not pick up on this earlier, the blog you are reading is affiliated with Radio Creme Brulee – an online radio station that features an eclectic mix of current pop and rock music from both sides of the Atlantic alongside hits, forgotten gems, and rarities from the last three decades. The music of Go West is a regular staple on our station. Furthermore, alongside newer artists, we also play plenty of newer music by bands that rose to prominence in the 80s and 90s. Noteworthy examples include Simply Red, Wet Wet Wet, Tears For Fears, Suede, The Corrs, Dubstar, Duran Duran, Camouflage, Spandau Ballet, INXS, Depeche Mode, George Michael Johnny Hates Jazz, Simple Minds, and Culture Club. 2 Responses to "Go West – 25 Years And Still Going Strong"
This part of the 25th Anniversary celebrations have now concluded. This short 13 date UK tour was well received by Go West fans across the land! A great time was had by all! 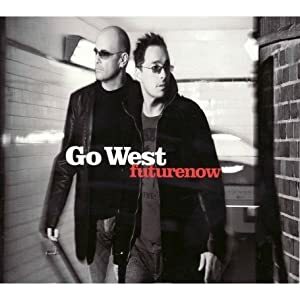 Pete & Rick and their amazing band treated us to a selection of Go West Classics mixed with some more recent material from their recent album ‘Futurenow’ and the first part of the 3D trilogy! A set of three EP’s that are being released to commemorate their 25 years of success! The new Go West tracks on the first part, Skindeep, Drive & Fastest Man Alive, breathe a new lease of life into their extensive repertoire! Check us out at http://www.gowest-arena.co.uk for full details of the celebrations so far! A big thank you to the radio creme brulee team for putting this together! Hey, nice piece on Go West. Peter Cox definitely sounds better working with Richard Drummie than on his own, and i like Peter’s solo stuff. But they seem to have more soul together than apart. Criminally underappreciated here in the U.S., that’s for sure. One of their songs that should have taken off here was from the “White Men Can’t Jump” soundtrack called “Never Let Them See You Sweat.” I lost the CD ages ago. If someone’s got a video clip montage of the movie or GW and plays this funky song beneath it, that would be a great video tribute.